There are four individually designed spacious guest suites on the ground floor with en suite bathroom and terrace. Each guest suite has its own private access and mini safe. Extra beds for children can be arranged. On the first floor there is another guest suite with ensuite and a family suite of two bedrooms with a shared bathroom and great balcony. 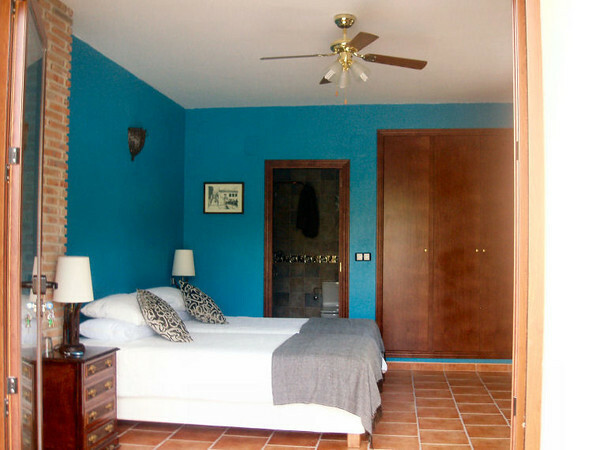 For groups of friends of families Finca Splash can take 14 people at two persons per room, and extra beds can be added for children in parents’ rooms. Also available at Splash Finca Panoramica is a self-catering apartment on the top floor which sleeps six, including your own lounge and kitchen - this combines the first floor family suite plus a guest suite to create a self-contained apartment with two bathrooms and scenic views from the balcony. A minimum booking of three nights is required when booking the apartment with very reasonable prices starting at less than £17 per person per night! See our Prices page for full details. Overlooking the stunning Sierra Bernia, the east facing lounge and terrace is the perfect place for early risers to catch the sunrise or to take an evening aperitif whilst watching the moon rise over the mountain. Comfy chairs and a large selection of novels and reading material are provided for those who choose not to siesta. Evening meals may also be served in this area. 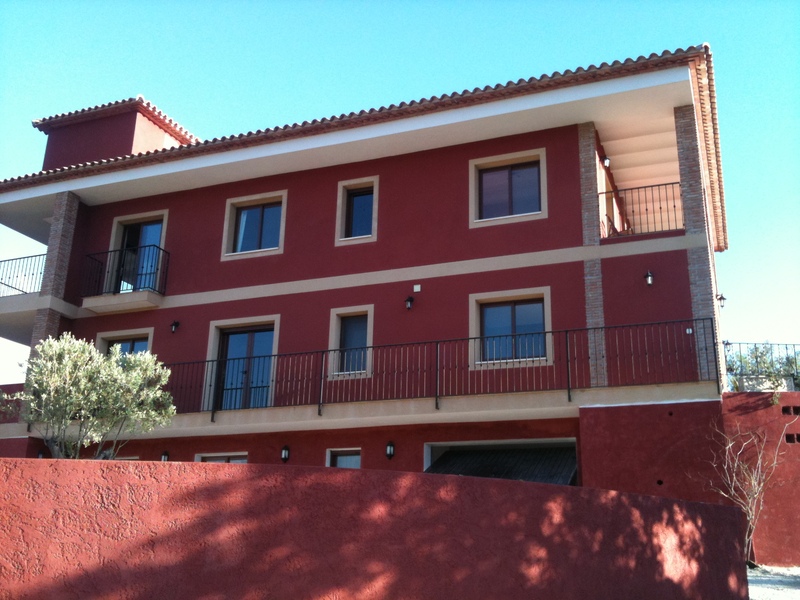 The pool and surrounding terraces are at your disposal throughout the day. Poolside loungers and hammocks are provided for you to lay back, relax and enjoy the sun and scenery. The majority of the Finca’s terraces are lined with olive and almond trees. The sea of pink and white almond blossom in the springtime at Finca Splash and surrounding Fincas is a beautiful sight. 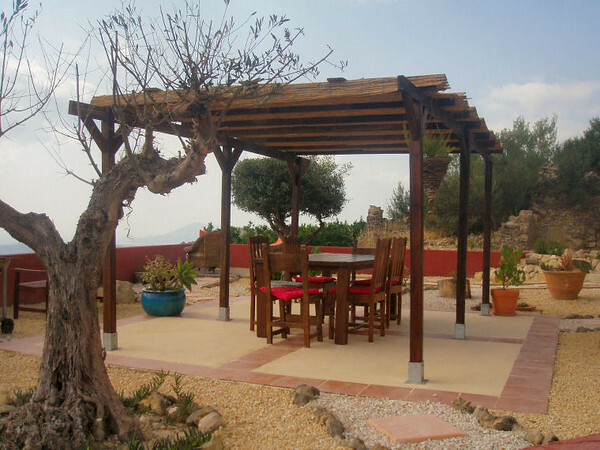 The remaining terraces are planted with flower gardens, fruit trees and wild flowers. 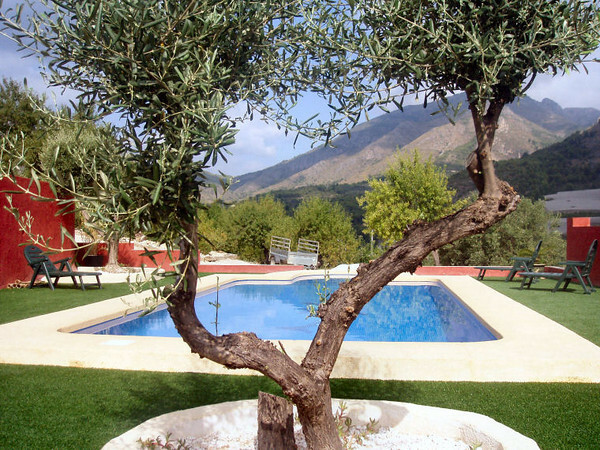 There are numerous quiet areas where you can slide into a hammock and relax in the branches of an old olive tree.